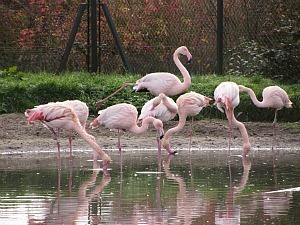 Banham Zoo in Norfolk is a fantastic day out for old and young alike. With over 2,000 species, it will keep you entertained for hours, you’ll learn lots and there’s plenty of space for everyone! 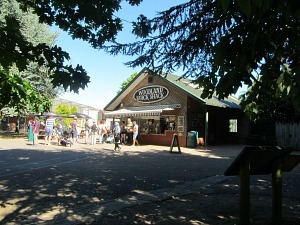 In order to get the most out of Banham Zoo, it’s important to remember that it is a conservation zoo. 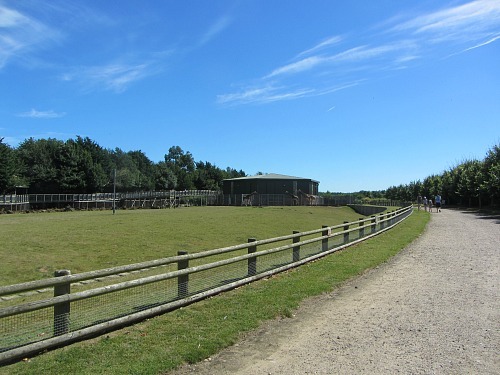 Established in 1968, Banham Zoo is an active member of the worldwide conservation effort which is why you’ll find it such an excellent zoo to visit. 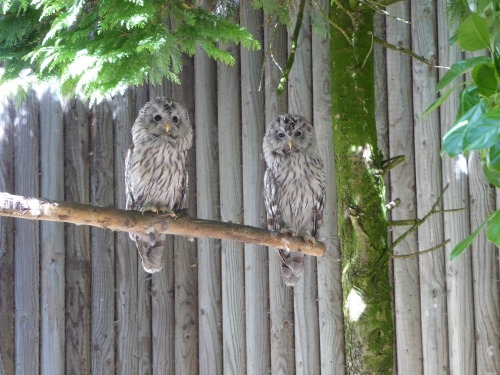 Conservation is hugely important for many animals worldwide, particularly the endangered animals and with places like Banham Zoo taking part in the European Endangered Breeding programmes, many of these animals will survive. 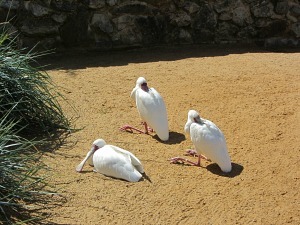 Another excellent conservation park in Norfolk is Pensthorpe Wildfowl Park. 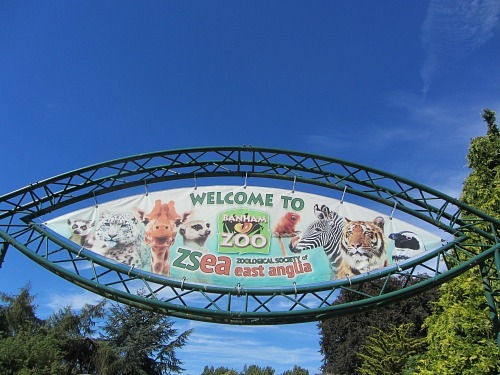 It is also a ZSEA Zoo (Zoological Society of East Anglia) which is a registered charity operated on a not-for-profit basis. 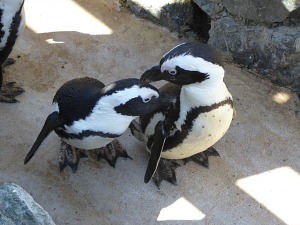 So by you visiting the zoo and having a wonderful day out, you are also supporting the conservation of the animals in their care and also the animals in the wild. Parking is a-plenty and it is free! 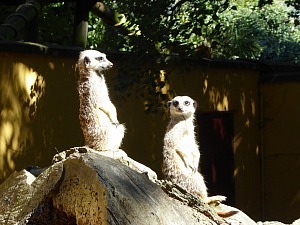 You won’t be stuck for parking places, but if you’re visiting in the school holidays, it may be worth pre-booking your ticket for entrance to the zoo as this does cut down your waiting time in the queue. It’s also a bit cheaper to book online as well, always a bonus! You’ll be given a map at the entrance which, if you’re like me, you’ll refer to it a lot! There are so many animals that it actually doesn’t matter which way round you go, back or forth, at some stage you’ll eventually work out where you are and which animals you’ve seen but it’s definitely worth holding onto for the day. 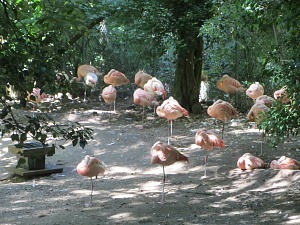 The Zoo sits in 50 acres, there is ample space to not feel crowded. We went on a busy summer’s day, and we never felt like we were craning our necks to see anything, or bumping into people. 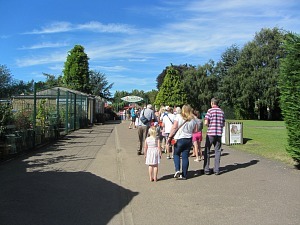 The whole zoo also has paths or tarmac around it so it’s excellent for pushchairs and wheelchairs. The only place where it probably isn’t suitable is the woodland walk – self explanatory. 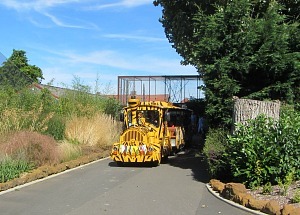 And if you don’t feel like walking too far, then you can catch the fun Safari Roadtrain (not adapted for wheelchair use) which will let you explore the zoo while just sitting and looking! 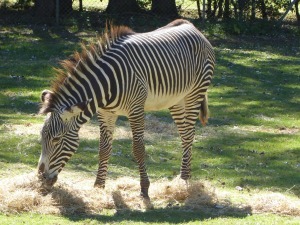 They always have events taking place around the zoo, so why not check them out here. I’m not sure where to start on this one, there are so many. In fact there are over 2,000 species. They all live in wonderful environments, lots of space to roam around where needed and there are excellent viewing areas, especially for seeing the animals such as the tigers, leopards, giraffes etc. 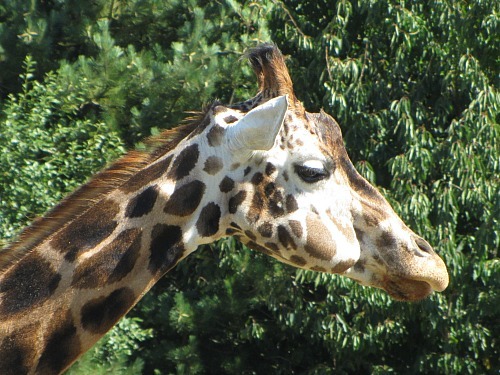 The giraffe enclosure allows you to get up to the same level as the heads of the giraffes and has a fantastic walk-way where you really do get an amazing view of them. 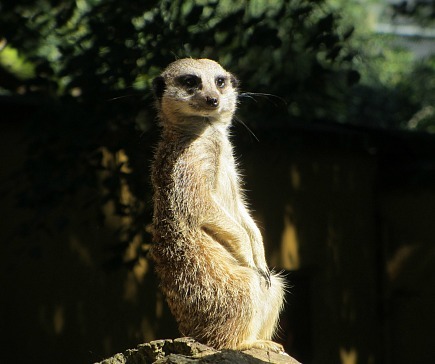 Wander through the lemur enclosure and the penguin enclosure, or watch the marmots running around in their massive enclosure or why not get up close and personal to those amazing meerkats! 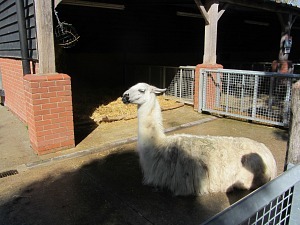 And if you thought you’d never see a camel, a kangaroo, an emu or a zebra, well get on down to Banham Zoo! The wonderful pink flamingos are languishing in their pool, a Ugandan crane would like to join them but is on the other side of the fence. The tigers and leopards were basking in the sun the day we went, but we still managed to get a good look at them, and the monkeys were busy over our heads running along the metal caged bridge! 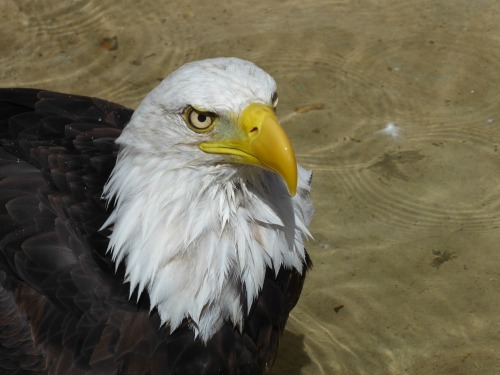 As for the owls and birds of prey – well we got very close to them too, watching them move their heads in time to us moving our heads which was very amusing, and seeing the bald eagle having a bath in the water after he’d taken part in his Birds of Prey display. 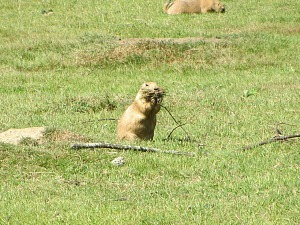 There is so much to see and so much space for both the animals and you, the visitor. 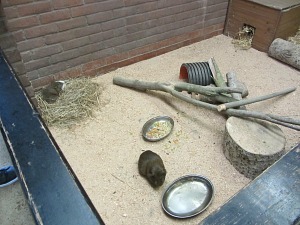 All the animals are so well cared for and the volunteers and staff are very helpful and friendly too. They were very willing to talk to us and give us information and to give us their time. You'll also get a chance to see domestic animals such as those adorable guinea pigs, kune kune pigs, and llamas, and some of these are in Farm Barn where you can stroke and touch them. There are various snack shacks and places to eat around the site, and one main building called the Parrot Pavilion which is covered and great for shade or rain! It will depend on what time of year you go as to whether the snack shacks are open so bear this in mind. I have to say I didn’t think the food was amazing, but it was OK. Think fast food and you’ll be OK and they do have a children’s menus as well. They also cater for gluten free as well as having healthy options such as soup. 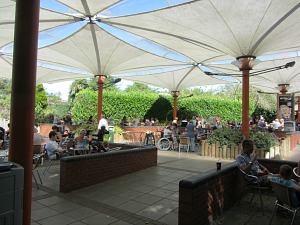 Or alternatively, what you could do is bring a picnic and sit on one of the many tables around the zoo. Fun activities for the children, and adults! There are zorbs (those huge round balls you get in and roll around in! 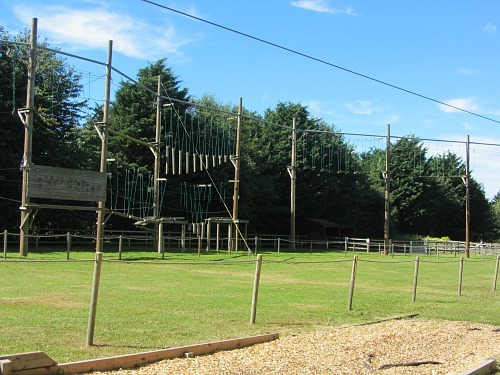 ), there is a high ropes course called Sky Trek, you’ll almost be on the same level as the giraffes with this, both of these are additional charges and are seasonal, as well as having some restrictions (for more information on this you can visit the Banham Zoo website). 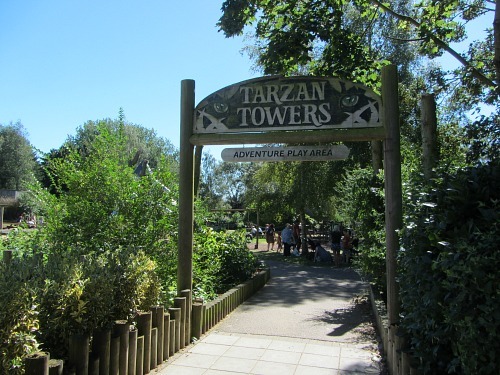 And if your children are really wanting to let off steam, then take them to Tarzan Towers which is an adventure playground, this is free. 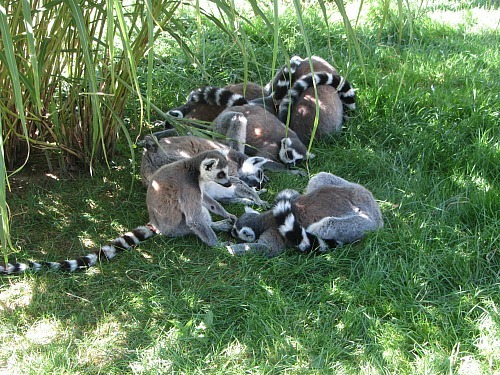 As a conservation zoo and with the amount of animals they have there and the work the volunteers and staff carry out, it’s incredibly reasonable and you really do get your money’s worth.